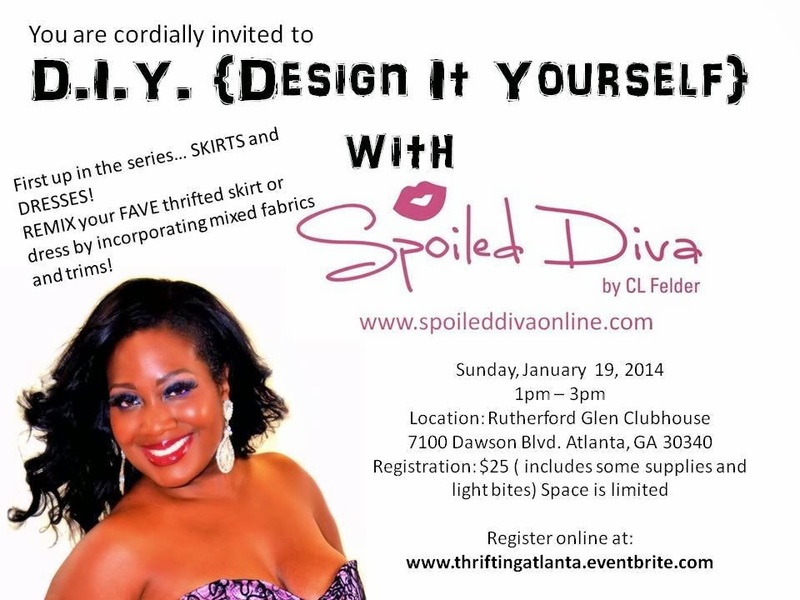 Join us for DIY with the Spoiled Diva, a monthly alterations and design series hosted by fashion designer Chakiva Felder. This month you will make a ready to wear look without using a sewing machine. Bring your favorite skirt or dress, along with 3 yards of fabric/trim of your choice and walk away with revived garment. The best project will win a gift card!